Every coaching process co-creates a safe non-judgemental space, were clients can discover themselves with freedom and creativity. When this happens, transformation occurs. I consider these to be the key elements not only of IAC Coaching Masteries® #1, but also in enabling all successful Human Relationships – without them, one will fail in constructing the healthy and secure space that is essential for good relationships to develop. As the current President of the IAC®, I want to invite you to co-create with us as an Association, and be part of the team that is maximizing the value of the IAC® ‘s wonderful people resources. This can only be done with a collaborative spirit. Thanks to all the work that it has been done, I can announce you that you can go through all of the IAC®’s worldwide elite certification process, not only in English and Chinese, but in Spanish too. Many good things are happening in the IAC®, and I look forward to writing about them more in the months ahead. Be a part of all this positive transformation – it has one purpose, for us to transform the world, together, one conversation at a time. Building prosperous and fruitful relationships is the key to achieving this. Let’s keep the conversation going, I would love to hear from you. I have always had an abiding connection with the IAC® definition of coaching, along with the values and the code of ethics that the association supports. Transformation works with the essence of what is being transformed. For example, the essence of a wooden board is the tree. You can turn the board into a music box, and then turn the music box into a table. The essence of the tree will remain. When we speak of “a transformative process for personal and professional awareness,” the awareness is already present as essence. The job of a coach, through the coaching process, is to accompany the client as he awakens to his essence, even if it is unknown at the beginning. Where do you put the focus on a transformative process for personal and professional awareness? The coaching process works well when the focus is on the client. The client will discover what he or she has already there and will experience an expansion of consciousness. Coaching is a process that allows both the client and the coach to live life with a deeper purpose and passion. I invite you to think about your interpretation of The IAC® definition of Coaching for yourself and your clients. Since being launched on March 11, 2003, one month after the unexpected death of The International Association of Coaching founder Thomas Leonard, the IAC® has been in constant transformation and growth. During 2018, I invite you to join us for many IAC® events celebrating our first 15 years as we continue our growth, discovery and the expansion of possibilities. “First say to yourself what you want to be, and then do what you have to do”. How do you develop positive habits in your life? How do you measure them? 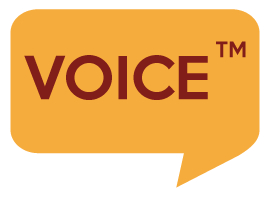 Positivity is the topic of this monthly VOICE™, and before I speak about the IAC®, I would like to share eight actions that can help you acquire positive thinking habits. 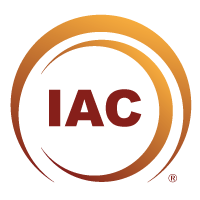 The IAC® was founded in 2003 by Thomas Leonard to lead the coaching world. Since then, the International Association of Coaching® has driven coaching excellence with the vision of developing human potential worldwide. We are aware that masterful coaching has the ability to change the world in positive, powerful, and remarkable ways. I am very positive regarding the present and future of the IAC®. The transformative process experienced over the last years, and the foundations and distinctive professional values that it stands for, have been the power driving the Association over these fifteen years, and will continue to be one of our many strengths facing the future. The love, passion, positive actions, and time invested by our team of multicultural volunteers to develop a path that demonstrates masterful coaching constitutes one of our bigger strengths. 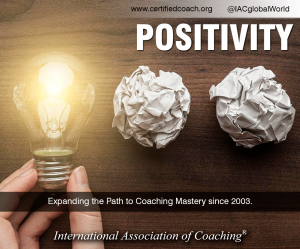 The IAC® Certified Coach is unique; they demonstrate The Coaching Masteries® in a master level and are governed by an inclusive code of ethics. Our coaches live by distinctive professional values that are reflected in the way they support their clients and conduct themselves. I am humbled taking the leadership baton from a great leader and positive influence of the coaching world, my good friend Master Coach Krishna Kumar, who has done an outstanding job leading the IAC® transformation. My strength relies on a professional, and capable International Board of Governors, and the rest of the volunteers that work every day for the good of coaching. Over the next couple of years, we will continue with the transformation process and focus on our distinctive professional values, with a special focus on our progressive certification path, membership growth, and code of ethics, to keep driving coaching excellence. Aristotle wrote; excellence is an art won by training and habituation. We do not act rightly because we have virtue or excellence, but we rather have those because we have acted rightly. We are what we repeatedly do. Excellence, then, is not an act but a habit. The best way for preparing for it is working positive thinking habits and actions. The Spaniard singer Joan Manuel Serrat says, “Every day is a special day to waste it”. Finally, I want to invite you to contact us and get involved working in one of our different committees. Crear impacto y marcar una diferencia. Este mes, VOICE habla de generar impacto ¿Qué tipo de impacto generas con los tuyos y con tus clientes? ¿De qué manera el mundo es mejor porque estás tú? ¿Cuáles son los beneficios de tu diario hacer? ¿De qué manera impactas positivamente al mundo del coaching? Te invito a que te involucres activamente en las actividades de IAC como voluntario, impacta positivamente con tu presencia al mundo del coaching. En las sesiones de coaching ejecutivo y de carrera que realizo, es común escuchar al cliente decir “estoy procrastinando”. Al procrastinar, disminuimos el impacto que generamos y empobrecemos nuestro legado. IAC tiene mucho por hacer en los años venideros y gran parte del impacto que tenga estará determinado por tu participación. Estás en una asociación de coaching fundada por Thomas Leonard para liderar y marcar el futuro del coaching, los herederos de este ideal somos cada uno de nosotros, y en nosotros, está marcar el paso del coaching a través del impacto que genera nuestro hacer al aplicar el código de ética y las 9 IAC Coaching Masteries. Con este fin en la mente, este mes, varios miembros de IAC fuimos invitados a participar en Desafio Coaching 30 días, apenas en su segunda edición ha revolucionado e impactado al mundo del coaching en español, la creación de Fernando y de Sebastián Ford Saenz está impactando positivamente el universo del coaching, no solo de habla hispana sino global. El código de ética y las 9 maestrías fueron tema de algunas de las sesiones que se realizaron. Como coach IAC siente el impacto positivo que logras al aplicarlas en tu vida y con tus clientes. Por otro lado, te invitamos a que sigas nuestra serie de webinars Quo Vadis, Coaching? Diseñados para hablar del futuro del coaching, participa en ellos, llénate de ideas, comenta. Te invito a que disfrutes esta edición de VOICE y a qué diseñes y pongas en práctica acciones significativas para que impacten al mundo positivamente. José Manuel “Pepe” del Río: Coach ejecutivo y de carrera. Trabaja con clientes de distintas partes del mundo. Fundador y head Coach de la firma boutique del Río training, especializada en Coaching y Logoterapia, que desde hace 22 años trabaja con ejecutivos y organizaciones en temas de comunicación y creando culturas de liderazgo y alto desempeño que brindan soporte para que las personas se conviertan en las mejores versiones de ustedes mismos.